Proud Sponsor of Breckenridge Big Beers, Belgians & Barleywines Festival, Jan 5-7, 2017! Attending the Big Beers Festival? Our Breckenridge vacation planning experts are here to assist with your travel arrangements - just mention 'BBF' for exclusive deals on lodging, lift tickets, transportation & more! Colorado's Summit County is known the world over as a paradise of outdoor fun and recreation. That's why we're so pleased to be able to offer you the most comprehensive deals for Breckenridge ski vacation packages available anywhere. Our office is headquartered in Breckenridge and we can provide you with insider knowledge of great places to stay, ski, eat and recreate after hours. Let us help with a discounted ski package including all your transportation, lodging, skiing and rental needs. You can arrange everything for your skiing holiday right here! 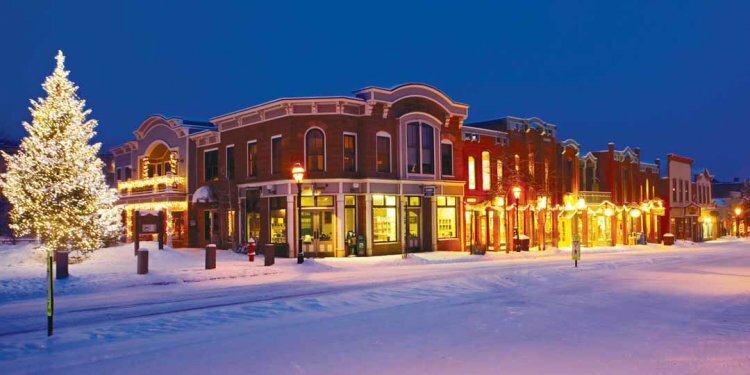 Breckenridge is one of the few places in the United States which can truly be described as an winter wonderland. While there, you can ski and snowboard across five alpine peaks with a wide variety of fun and challenging terrain, including cruiser runs, gentle glades and above-treeline open bowls. With over 2, 900 skiable acres and 146 trails, skiers and snowboarders of all experience levels can enjoy an accommodating mix of terrain and features. If you're traveling with folks whose idea of fun doesn't include hurtling down a slippery slope, the Breckenridge area is home to many other favorite Colorado activities. When's the last time you experienced the thrill of being pulled on a sled by a team of highly trained dogs? Have you ever gone on a guided tour of an authentic, century-old gold mine? Or maybe you'd prefer taking in the scenery at a slower pace while snowshoeing or cross-country skiing. With five huge peaks, 2, 908 acres, four terrain parks, a 22ft Superpipe, 11 bowls, the highest chairlift in North America, family-friendly terrain and a world-class ski school, all situated above an authentic, hip mountain town with awe-inspiring views, there are good reasons why “Breck” is one of the most popular ski resorts in the Western Hemisphere. And new for 2013 – Breck welcomes Peak 6, the biggest resort expansion in the last decade. Renowned for the welcoming spirit and friendly character of their locals, with over 200 restaurants, bars, and shops, and numerous year-round activities and events, Breck embodies more than just a destination, inspiring a way of life.